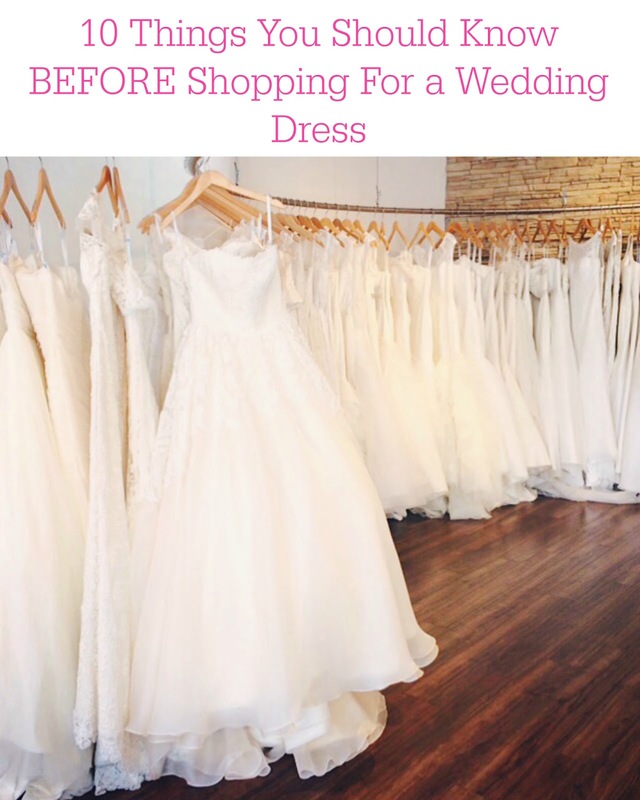 Last week on Wedding Wednesday, I shared with you the details of my experience shopping for a wedding dress. It was quite the ordeal, and I'm so happy I was able to work through it and find the perfect dress for me. It was an exhausting and stressful experience, but in the process I learned a lot. Some of this advice was given to me before I tried on a single gown, but I wish I had listened a little more carefully and really taken it to heart. I promise, if you keep these 10 tips in mind, you'll have a much less stressful shopping experience than I did! Go in with an open mind - This is the most important tip I have for you. Try not to be too specific about the style of dress you want. Or if you do, be open to at least trying on every style to see if something surprises you. During my dress ordeal, I worried I should have bought a princess style dress or had sleeves. I hadn't tried on a single princess style dress to even know if I liked it or if the style was flattering on my body type. This allowed me to waste too much time over-thinking things. If you try on a wide variety of dresses, even ones you think you hate, you can be confident in the dress you decide to purchase. Consider your budget before shopping - It's important to have an idea of what you want to spend before you shop. The stylists will ask you right away (maybe even when you book the appointment) so they don't pull any dresses out of your budget for you to try on. In once case, the stylist said she had a dress that she thought was similar to what I was looking for, but it was a few hundred dollars out of my budget, so she didn't want to show me unless I was okay with that. Most of the time they are very respectful of this, so you don't fall in love with something you can't afford. That said, if the dress is your number one priority for the Big Day, maybe you're okay spending more. If there is a dress that you absolutely love and can't stop thinking about, consider rearranging your wedding budget and making compromises so that it's possible. Spend less on favors, or don't have a photo booth to make up the difference in cost. When you know, you know" might not apply - As I mentioned last week, when my sister tried on "the dress" everyone cried. She had an emotional reaction and knew it was the dress for her. You see similar stories in movies or on "Say Yes To The Dress" but please know, that may not happen for everyone. And that is okay! I didn't have a moment when I knew my dress was "the one," which I struggled with for a while. I wondered if I hadn't tried on the perfect dress for me. But I look back on the pictures from our wedding and remember how beautiful I felt that day, and I the dress I wore reflected my personal style. 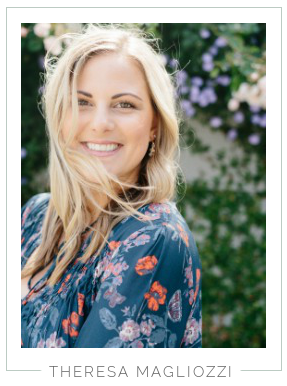 Don't let anyone pressure you - One of my biggest lessons from dress shopping was that the stylists at every salon will pressure you about ordering as soon as possible. They will tell you that your dress might not arrive on time, or you won't have time for alterations no matter how many weeks you have until the wedding. They want to secure the sale! Take your time, remember this is a big investment and you want to make the right choice. I was worried my dress wouldn't arrive in time for alterations so I paid a $100 rush fee, and it arrived a month sooner than they told me it would. People plan weddings in two or three months all the time, trust me, you will find a dress! Choose your shopping guests wisely - For me, I really wanted my Mom to be a part of this experience with me. I just couldn't imagine doing it without her. For a while I thought we weren't going to be able to align our schedules, but thankfully it worked out. I also wanted to invite my friend Erica because she was married and could offer advice from her own experience. And also because she in honest, but not too honest. I am sure there were dresses I tried on that she didn't love, but she made sure I felt beautiful in all of them. She offered great advice through my entire dress dilemma, and I was so happy to have her guidance. You don't want someone that is overly opinionated or rude. It's already an exhausting experience, so you want to surround yourself with people who give good feedback and most importantly, make it fun! Listen to your gut - If you try on a dress that your mother or best friend absolutely loves, that doesn't mean it's the one for you. My sister and my Mom both told me the preferred the dress I ended up returning, but I knew that I had to follow my instincts and buy the dress that felt like "me." The one I would love wearing on my wedding day. You don't want any regrets, you're the bride and it's your opinion that matters! Take your time - Don't worry about timing or let yourself feel rushed by appointments. If you need to go back and try on dresses a second time, that is perfectly okay! Don't feel like you need to fall in love with the very first dress you try on. It's a big investment, and it takes time to make the decision and feel confident about your choice. You may need to go to five different boutiques and try on countless dresses like me, but you will find the one you're looking for! Try on accessories - Even if you don't want a veil, sash, or statement jewelry, try on different pieces that your family, friends or the stylists suggests. You might surprise yourself and end up loving something. I never thought I wanted to wear a veil, but I felt like a true bride the first time the stylist put one on me. I loved it, and ended up with a cathedral veil on our wedding day. I also learned I definitely did not want a belt or sash! Take Pictures - I know that some bridal salons don't allow photos, which I don't understand. I would suggest avoiding those locations. Since I struggled so much with deciding on a wedding dress, the pictures were SO helpful once I left the bridal salon. I could go back and look at different dresses to remind myself how I felt in them and what I liked or disliked about each one. Don't get caught up with Pinterest & trends - One thing I struggled with was the the black hole of Pinterest. While it can be so inspiring and give you amazing ideas for wedding decor, color palettes, dress styles, rings, and beyond. It can also cause you to second guess your instincts and decisions you've already made. Remember to be true to yourself so your wedding reflects your personal style. If long sleeve lace gowns are all the rage, but you prefer a a princess cut, wear that! You want to feel like the best version of yourself on your wedding day. Married ladies, what do you think of these tips? Do you have any to add? And for you brides out there, good luck! Shopping for a wedding dress is a once in a lifetime experience, soak up every minute! I think you covered all the bases!